Glenn Borchardt has over fifty years of practical and theoretical experience in earth science. He has produced over 400 scientific reports, including consulting reports, journal articles, book chapters, books, and computer programs. Borchardt is the Director of the Progressive Science Institute in Berkeley, California. Glenn Borchardt was born in Watertown, Wisconsin 300 years after Newton. He grew up on a dairy farm, observing first-hand the evolution of farming from horses to air-conditioned tractors. On fatherly advice, he attended the University of Wisconsin, receiving B.S. and M.S. degrees in soil science, a multidisciplinary field in which rocks were shown to evolve into the soils necessary for life on earth. On wifely advice, and faced with radiometric ages greater than 6,000 years, he converted from Lutheran fundamentalism to atheism at the age of 22. The work at Madison combined laboratory experiments in soil mineralogy and soil chemistry with summer fieldwork as a soil surveyor. The lure of studying soils in the mountains of Oregon brought him to Oregon State University, where he received his Ph.D. degree after completing a thesis on "Neutron Activation Analysis for Correlating Volcanic Ash Soils". Forgoing an offer to continue similar work on lunar samples, Borchardt accepted a prestigious NRC postdoctoral associateship with the USGS in Denver, Colorado. Here he used nuclear methods to correlate volcanic ash from much of the western US. It was at this time that he devised the SIMAN coefficient for similarity analysis, which is used widely for comparing multivariate analyses of ash samples. Turning down a professorship in nuclear science in Brazil, Borchardt accepted a position as a geochemist with what is now the California Geological Survey. Here he spent five years studying the clay mineralogy of landslides by using x-ray diffraction, x-ray fluorescence, atomic absorption, and other methods. A proposal to build a 600'-high dam across numerous earthquake faults along the American River above the state capital brought Borchardt's expertise in soils into the field of seismology. Along with others, Borchardt showed that faults thought to have been 60 million years old actually had small amounts of movement during the last 10,000 years, bringing dam construction to a halt. This work helped to initiate a new field, "soil tectonics", in which the ages of soils are estimated for use in assessing seismic hazard due to ground rupture. Most buildings in California no longer can be constructed across active faults (one showing tectonic displacement at the surface during the last 10,000 years). In addition to dating soils, Borchardt has been part of a team of scientists who produced numerous earthquake planning scenarios. These books contain maps of the damage expected after hypothetical earthquakes along major urban faults in California. As a spokesman for the team, he has presented papers on this approach in the Soviet Union, Russia, and Spain. One especially interesting project involved the evaluation of historic earthquakes that occurred before 1849 when California's population was sparse and newspapers nonexistent. One primary result: the supposed 1836 earthquake along the Hayward fault actually occurred on the San Andreas fault at San Juan Bautista, over 100 km away. This information helped to designate the northern Hayward fault through Berkeley as most likely to produce the next major urban earthquake in the US. In 1990 Borchardt taught soil mineralogy at the University of California in Berkeley as a visiting professor. He retired from the California Geological Survey in 2004, continuing to provide soil age estimates as the principal of Soil Tectonics (http://soiltectonics.com/). 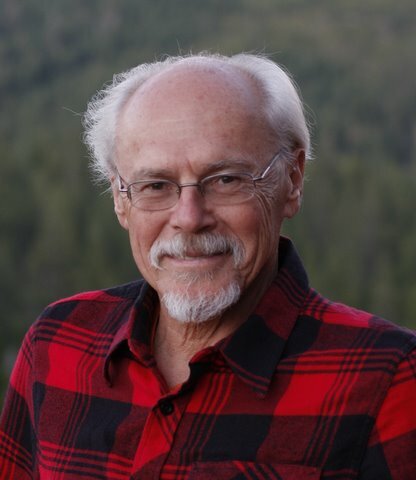 Since 1966, he has authored or co-authored over 400 scientific reports and publications, include several books and computer programs, as well as chapters on soil smectites and soil tectonics in major textbooks. As an avocation, he has studied scientific philosophy since 1976, stimulated by what he thought to be the outrageous claims of cosmologists that the universe exploded out of nothing. His systematic examination of the presuppositions underlying this so-called "Big Bang Theory" showed them to be anything but scientific. As the Director of the Progressive Science Institute, in Berkeley (www.scientificphilosophy.com), Borchardt published The Ten Assumptions of Science: Toward a New Scientific Worldview (iUniverse, 2004), in which he outlined ten fundamental, non-provable beliefs that served as the foundation of all scientific investigation. The opposing assumptions, just as non-provable, were considered the foundation for belief in the supernatural. His assumption of microcosmic and macrocosmic infinity is a thread running through each of the assumptions. Their suitability was shown by their consupponibility, that is, if one can assume one of them, one can assume all the others without contradiction. The work was published when conventional scientific theory admitted to few assumptions, though the belief in finity and matterless motion clearly was manifested in the popularity of the Big Bang Theory. Borchardt's assumptions implied that the universe had no origin. In 2007 Borchardt published the culmination of his work as "The Scientific Worldview: Beyond Newton and Einstein (Understanding the Universal Mechanism of Evolution)" (iUniverse, 2007) as a logical outgrowth of his 2004 book, "The Ten Assumptions of Science." Borchardt's "univironmental theory" claims that the proper way to look at a thing is to see its activities as a result of the interaction between the thing (the microcosm) and its surroundings (the macrocosm). He showed that univironmental determinism was the universal mechanism of evolution and encouraged the dismissal of neo-Darwinism as being a severely limited special case. First, in being applicable only to the biological domain, and second, in reducing the microcosm to genetics. Borchardt predicts that univironmental theory will have a great impact in many fields, particularly modern physics, cosmology, and philosophy. The advent of univironmental theory presages the beginning of the end for the Big Bang and many of its associated theories. The proposed scientific revolution will be the last step in the pre-Copernican stage of human evolution. Although the reluctance is manifest, the acceptance of the universe as infinite and eternal will be an essential part of the great global social transformation brought about by the Industrial Revolution. In addition, Borchardt maintains that all philosophies are subject to microcosmic and macrocosmic errors. Solipsism is overly microcosmic; fatalism is overly macrocosmic. The correct philosophy, according to Borchardt, is univironmental determinism, which is the simplest and greatest generalization of all: what happens to a portion of the universe is equally dependent on the infinite matter in motion inside it and the infinite matter in motion outside of it. In 2011 Stephen J. Puetz and Borchardt published "Universal Cycle Theory: Neomechanics of the Hierarchically Infinite Universe," which is the first book to provide a detailed interpretation of current physical and cosmological data based on Borchardt's Ten Assumptions of Science. In addition to an alternative to the Big Bang Theory, the book presents a new theory that explains the physical cause of gravitation as the result of gravitational pressure gradients that develop initially due to vortex motion in the aether. Statistically verified universal cycles first discovered by Puetz in 2009 are hypothesized to be the result of variations in aether density produced by compression waves. In 2017 Borchardt published "Infinite Universe Theory," which is the ultimate replacement for the Big Bang Theory.